Part of Dr Martens 'Quad retro collection', the Jadon unisex boot has smooth leather uppers with an eight-eyelet metal ring lace-up fastened by rounded black laces over a flexible tongue. For east fitting this mens and womens ankle boot also has a side zip running from instep to topline. 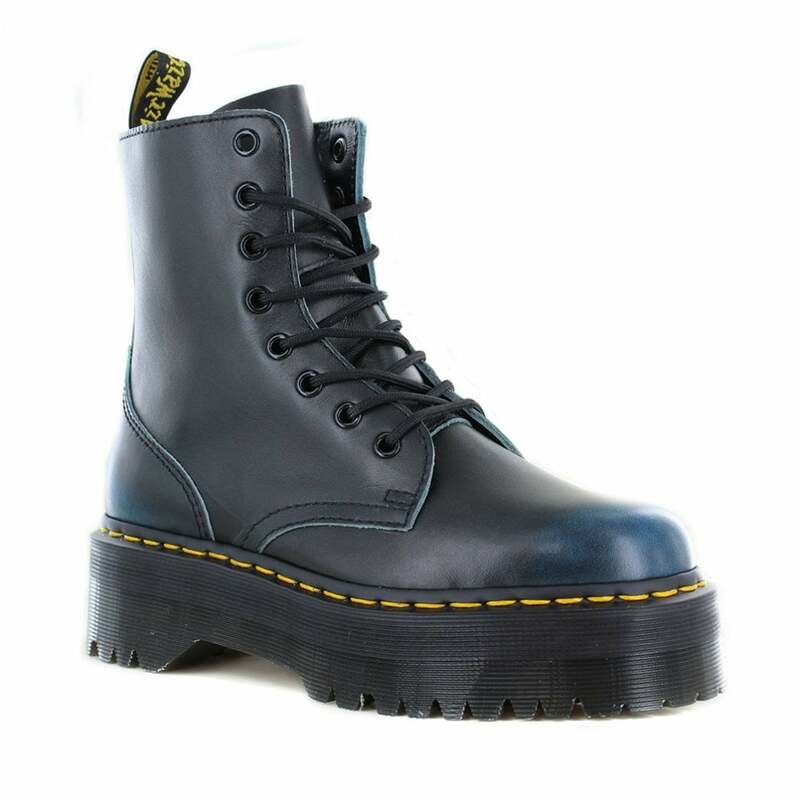 Inside the Jadon mens and womens boot is Blue leather and textile lined with Dr Marten branding on the padded insole.